The textbooks are right. 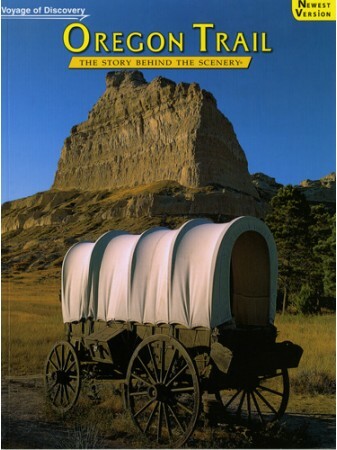 The Oregon Trail was that explosion of emigration which leapfrogged from the United States to the West Coast in the 1800s, and in the end stretched the United States across the continent. But the textbooks miss the one thing that was most important to the tired, sometimes grumpy, worried emigrant urging his oxen along the Platte River. It was the "going." It was the experience of giving all to gain all. It was the first time you picked up a buffalo chip, or forded a river with frightening water up to your hips, or buried a neighbor, or crested a new hill and saw the far view. It was going to Oregon! 9x12, Paperback, 64 pages, 61 color photos & 27 maps.